The off-season is usually a time for a bit of rest and relaxation, but that will certainly not be the case this year for Unai Emery. Given he has just been appointed as Arsene Wenger’s successor at the Emirates,Arsenal’s new head coach is facing a huge summer ahead of his debut season in the Premier League. 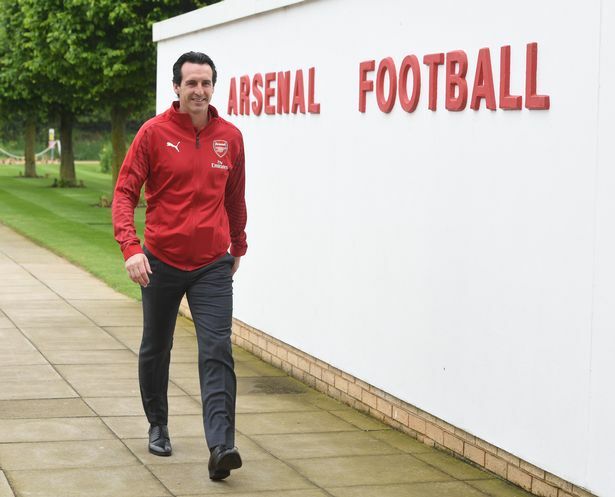 Having arrived in north London, Emery did briefly return to Spain where he was booked to take part in a coaching seminar, but since then he has been at London Colney working with chief executive Ivan Gazidis, head of football relations Raul Sanllehi and head of recruitment Sven Mislintat. Between them, they are all looking to put a squad together which they hope will close to the gap on the likes of Manchester City and certainly get Arsenal back competing for the top four. Emery and Mislintat have already brought in Stephan Lichtsteiner on a free transfer and Arsenal’s new head coach has also played a key role in recent weeks in convincing Paris Saint-Germain youngster Yacine Adli to join. A deal has not yet been signed, but Arsenal are confident the French teenager will shun rival interest to pen a three-year deal at the Emirates. Pre-season training at the Emirates is now less than four weeks away. Unai Emery at London Colney. With the club’s first friendly of the summer to take place on July 14 at Boredom Wood, Emery will be spending the next few weeks preparing to welcome his squad back to London Colney - which makes a trip to Russia for the World Cup highly unlikely. Arsenal only have eight players away at the World Cup, so a large number of the squad will report back on the first day of pre-season, including the likes of Pierre-Emerick Aubameyang, Henrikh Mkhitaryan, Alexandre Lacazette and Hector Bellerin. The squad’s first day back at the training ground is expected to be July 2, with the first couple of days set to be centred around various tests to measure the players’ fitness levels. Having played the game at Boredom Wood on July 14, Arsenal will fly out to Singapore just over a week later ahead of their two games against Atletico Madrid and PSG in the International Champions Cup. Another player who will be due back on the first day of pre-season is Aaron Ramsey. But the Wales international could be sold this summer should he decide not to sign a new contract with the club. Emery is a big admirer of Ramsey so one of his main priorities over the next few weeks will be trying to convince the midfielder to extend his stay in north London. Talks between the club and Ramsey’s agent David Baldwin are ongoing, but Emery will sit down with the player himself to put across his vision for the future in a bid to sway his decision. Talks will also be held with Danny Welbeck when he returns from the World Cup, with the England internal also now entering the final year of his deal. 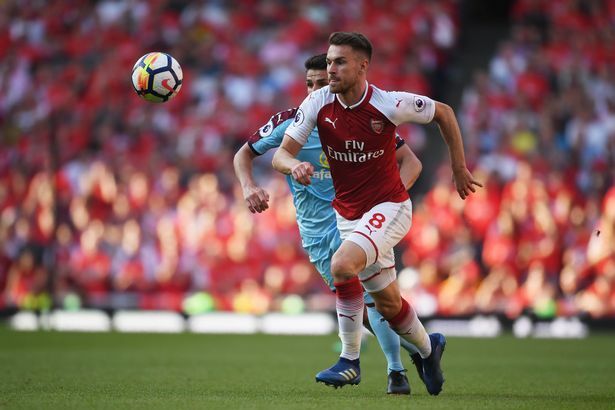 Should Ramsey opt against signing a new deal, Arsenal will reluctantly look to cash-in on the former Cardiff man, who has just one-year left on his current deal. That money will look to be reinvested, with Emery and Mislintat well aware of the need to reshape the squad. Even if Ramsey commits to a new contract, there will still be at least one arrival in the midfield area, with the Gunners pursuing Sampdoria’s Lucas Torreira. Emery will work closely with Mislintat at London Colney looking to get deals in place over the coming weeks, with the defence also a priority. Emery and his coaching staff will be drawing up a detailed training regime to ensure those who do return at the start of July will be in perfect shape ahead of the new season. Their jobs over the summer will be to put a training regime together that gets the squad playing to Emery’s ideals as soon as possible, with the former PSG boss wanting bring a more intense style of play at the Emirates.